Wynstream Primary School, in Wonford, Exeter has won this year’s Prince of Wales Award, for its literally ground-breaking work in enabling primary school children to grow, harvest, celebrate and understand vegetables and fruit. The award, which very much reflects HRH The Prince of Wales’ personal enthusiasms, is given annually for community-based projects intended to boost local sustainability, and is organised by the Devon County Agricultural Association. This is the first time it has been won by a school and it will be presented at the Devon County Show on Friday, May 18. Wynstream’s involvement with food growing dates back three years, when it was one of eight schools which took part in the Devon Development Education Charity’s ‘Food, Glorious Food’ project and grew rocket seeds which had been on the International Space Station. 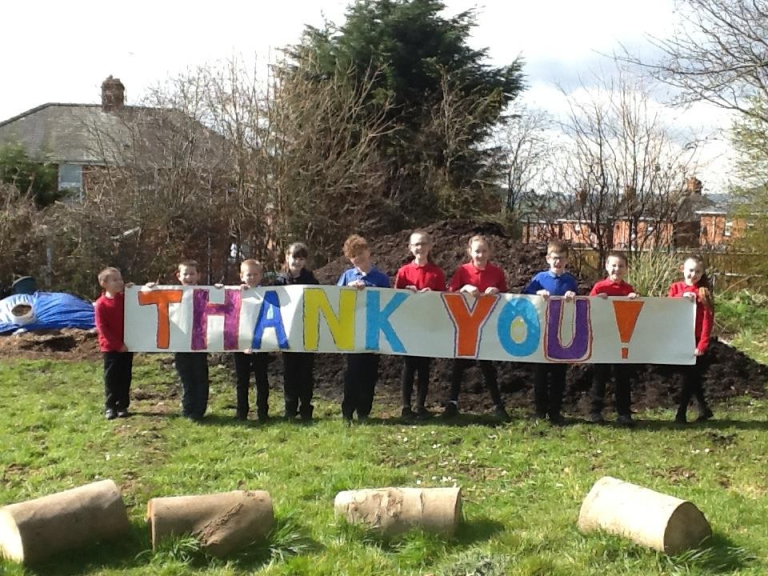 Since then, they have added any number of strings to their horticultural bow, including taking the children on visits to local farms and supermarkets, reaching level 4 in the Royal Horticultural Society School Gardening Awards, winning a grant from Tesco which has paid for the installation of a Ridan composter so that all the school’s fruit waste is recycled, giving all 350 or so pupils the chance to take part in Forest School and the Grow it, Cook it, Eat it programme, creating a ‘Sensory Garden’, where children can experience the sights, sounds and smells of the natural world, and installing a large polytunnel, in which each class has its own plot, as well as cultivating a large allotment. The latest project, towards which the £1,000 prize money which goes with the Prince of Wales award will be devoted, is the creation of a large pollinator area, to give the children practical experience and understanding of the bees and other insects which are so crucial to fruit and vegetable production. The driving force behind all of this green-fingered activity has been Mrs Angela Redmond, the school’s Outdoor Learning teacher. “I have been passionate about gardening and everything it stands for since I was at school myself”, she said. “It’s not just about teaching children where their food comes from, and helping them to value it. We weave our outdoor activities into many threads of the curriculum, like maths and English, as well as using them to teach children life skills like common-sense, decision-making and team work. And the best thing about it all is that the children love it. They are just passionate about being outside, learning new skills, and doing something fulfilling and of real value. The Chairman of the judges for the Award, Lady Arran, thanked all the entrants who applied for the Prince of Wales Award and hoped many will reapply in the future. “We were particularly inspired and delighted with the progress Wynstream have made since we last visited them a year ago and heard about Mrs Redmond’s hopes and aspirations for their project,” she said.